Cushions I make from vintage silk scarves. 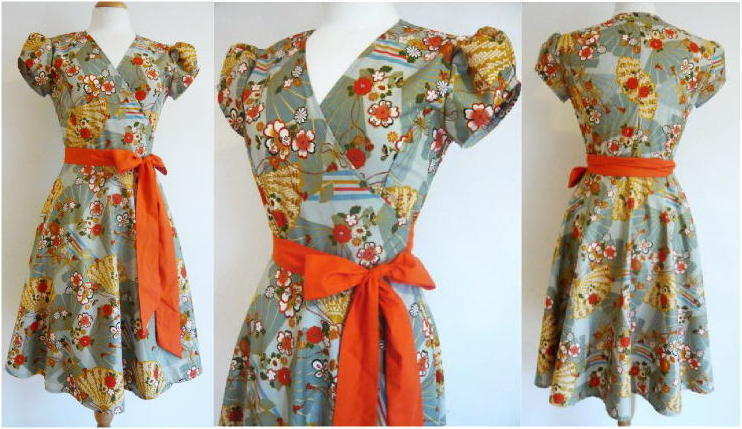 1950's inspired wrap dress, with a Japanese style fan print. 'Nisse' or Scandinavian gnome hats create for the QI Christmas episode, 2016. A replica 'paradummy' I was commissioned to make (top). They were used used as a decoy paratroopers in WW2 (bottom one is the original).